your Real Estate needs in the Tulsa, Ok Areas. This is the highest compliment I can recieve"
"Experienced- Responsive - Proven Results"
Good at what she does is an under statement. Very informative and always helpful. Anything and everything we needed she had it. She is a spectacular realtor as well as a very caring person. She will be there for you! Gilda Krantz did an amazing job for my wife and I!! She went above and beyond, she did extra research and came prepared for every single thing we needed to do to sell our house. She had us do alot of prep work and then she came in and staged our house and IT SOLD IN TWO DAYS!!! And for me then we orginially thought we could sell it for!! We met with her when we felt like our first realtor didnt really know what she was talking about and we were right. Compared to our first realtor Gilda was a total rockstar. My wife was like "I learned more in 10 minutes than I did with our last realtor in 2 hours!!" She would reply to emails and texts even as late as 10:30 or 11:00 at night. My wife and I really, REALLY appreciate Gilda's help and are now using her to buy our next house and she is doing so much research and again helping us by having answers for us before we even have the questions!! THANK YOU THANK YOU!!!! Exceptional! "I will sell your house by the holidays", Gilda said. And in less than 60 days, despite the challenges of the weather and competition, my house sold! Thanks to Gilda's hard work and dedication and for keeping her word. I believe she is wrapped in blessings that she pours out to those she represents. Thanks Gilda!!! Gilda was a dedicated partner throughout the entire process from preplanning to closing. She was always in communication with me and kept a sense of urgency to keep the momentum going until the end. If an obstacle presented itself, she went above and beyond to research and ultimately find solutions. She is extremely knowledgable and trustworthy, as well as, a kind person. It was a wonderful experience to work with Gilda. Gilda has been absolutely amazing through this entire process. This was our 1st time to buy a home and she has been there for us every step of the way. She has gone above and beyond to help us buy the home of our dreams! It truly would not have been possible without her. You can tell that she truly loves what she is doing and has a passion for this. With her on our side I have felt confident from day 1 that we had the best realtor in the state of Oklahoma working for us! I would HIGHLY recommend her to anyone! There is no one else out there more reliable and dependable. Her knowledge of this market blew me away! I feel very blessed that we were able to work with someone as wonderful as Gilda! Gilda is just brilliant! This is the second time I have hired her for her professional real estate services. I didn't hesitate to call her first when selling my most recent property. After all, she was so instrumental in facilitating a previous profitable quick home sell. Again, this time, she has gone beyond her duties to represent me and my property well. She has always presented herself to prospective buyers, their agents and myself in a professional manner. I am noting that Gilda proved knowledgeable of the current real property trends in Tulsa and the surrounding communities to price this property accordingly. She quickly identified this property's positive features to highlights and made professional recommendations for improvement changes to bring the highest sell return. Gilda can get it done. My listing hit the market quickly with stylish property description and photos after help with staging to show this property at its best. She reliably and promptly met with potential buyers, conducted several open house events and supervised client property tours representing my property with spunky enthusiasm. Remarkably, she has again negotiated a favorable contract and finalized a speedy property sell. $$$$$$ Ms Gilda spent extra time discussing and assuring my understandings with all of the paperwork. Review of all of the real estate documents was a burdensome task that she made... fun. I will not hesitate hiring her for her real estate services again, and highly recommend her as a five star agent and broker. Thank you Gilda. Having had bought and sold several properties throughout our lives, we had a pretty solid understanding of what to expect in process and treatment from realtors, lenders, inspectors and everyone in between. Those expectations were, in all honesty, not very high. There would be hurdles, there would be delays, there would be radio silence but we would get through it. We always have. What we did not anticipate, was to have our every expectation surpassed and every doubt gone. To say that we were pleasantly surprised would be a gross understatement. Every new development, obstacle, change, update and interaction which occurred throughout the process was communicated to us quickly, clearly and with everyone's best interested in mind. Gilda's passion for delivering a world class customer experience, attention to detail, and flawless execution completely shifted our view on the entire process. Along the way, Gilda displayed the utmost professionalism and respect to both us and all prospective buyers. She worked hard, and often very late to get problems addressed and resolved. All of this while being personable, positive and kind. Gilda set the bar for excellence very very high. For her kindness, creativity and diligence we offer Gilda (and her team) our humblest thanks. And to any prospective future clients our most eager endorsement! Gilda was great! She informed me of changes through out the process. Patience and honesty are just a couple of words to describe Gilda. Others include "professional", "personable", "knowledgeable", and "flexible". Gilda really listens to understand your needs and then finds houses to fit those needs. She is always available to contact and works hard to find the right house. She provides honest advice instead of a quick sale. If a house has issues, she will point them out instead of hiding them. Dealing with Gilda made everything less stressful knowing she was working hard for me and my family. I would highly recommend Gilda for your real estate needs. Gilda was wonderful! She kept us informed with everything, and ideas if we came into a bind. I would definitely use her again and refer her to family and friends. She's an amazing realtor. Gilda is the REAL DEAL plain and simple. When we were looking for a realtor we hand picked three agents from top ranking realty offices in Owasso and the choice was easy once we had visited with Gilda. Once we asked her to partner with us to sell our home Gilda immediately hustled to get us on the Internet and numerous networks and did it pay off! We were having multiple showings each day and after six days we had two great contracts! It did not end there as Gilda made sure all details were covered all the way to closing. And it did not end there as Gilda continued to care about our well being as we packed and moved out of state. Gilda is everything and much more when you need a professional realtor and a great and warm soul all rolled into ONE! Gilda is Wonderful!! She always was on top of things and kept us well informed on what was going on with the sale. She got us a contract on our house in a weeks time! Gilda was great. She went above and beyond our expectations; staying up late nights to make sure we got our contract correct and helping us to understand the processes involved in selling out house. She was very straight-forward with her opinions and recommendations and kept us updated on everything during the process. We look forward to working with her again as we look for our new home. I would (and will) recommend her to any friends seeking to buy or sell a home. Gilda is great, we used her when we were a buyer 3 years ago and now with selling this one. She's the Best. Friendly and very helpful. Always there for me. Thanks. Gilda was recommended to me by my girlfriend. I could have gone directly to selling agent but she worked so diligently with my girlfriend that I decided to work with her. She did not disappoint me. She got all of my issues and concerns resolved to my satisfaction. Gilda sold two homes for us. The first sold within 2 weeks of the listing, the other sold after we left Tulsa. Gilda kept in constant contact via E-mail with updates and progress. She physically checked the property, identified any problems and had any work completed immediately so the property would sell. We found Gilda to be prompt, thorough, thoughtful, and very professional. She knows her trade. And we had no problem trusting her instinct and judgement. If our path ever leads back to Tulsa, we will definately call upon Gilda again. Gilda has been absolutely wonderful! We were very very satisfied with her performance. She followed thru with us on every step. We definately will use her again & refer her. Gilda did an excellent job helping me buy a home. If ever I need an agent again, I will surely use her. She is a very special person. Gilda was phenomenal. She taught me so much about the process! She really cares about getting her clients matched up with the property that best suits them! Excellent. Very professional, especially when presented with some unexpected roadblocks during closing. Very knowledgeable regarding the property, the neighborhood and the process. Excellent agent to work with. Gilda is excellent! I will refer her to anyone needing to buy or sell. She's an asset to your company. Always prompt communication, Gilda goes out of her way to make sure you have the right place that you need, will make every effort to make sure you get the necessary things done by the seller. Very knowledgeable too, and nice to work with. Thanks a lot Gilda. You've been very helpful all the way. We're so grateful. Everything was smooth. Because of her excellence, professionalism and expertise, I have been priviledged to work with Gilda on several contracts. I hope to work with her again. She went way beyond our expectation. We will always recommend her to everyone we know in the Tulsa area - even our bank (credit union) will recommend her. She is awesome. Gilda did a very good job of showing this house. I am very happy with my purchase. Gilda, Thank you and God Bless You!! You are so great, and I'm glad God put you in our lives! Much appreciation! From beginning to end Gilda did an amazing job! We found thehouse we liked through google search and stumbled across her realty site. Wecalled her to see about looking at the house and that same night we got tosee it. We started the process and WOW! she is truly the BEST realtor, notonly is she very sweet but she gets the job done in a very professional and timely manner. We wanted to close as soon as possible and she made it happen. She was very responsive and kept me updated all the time. I never had to worry about anything because she already took care of it. Gilda is definitely the realtor for you if you want someone who is kind, sweet, professional and hardworking. She will make it a fun experience! Thank you so much Gilda. Service was outstanding. I really feel like you went above and beyond on services, very helpful in answering questions and further researching about my property. I feel extra steps were taken just to help me that were not "required." Gilda did a great job for us! Gilda is very motivated, professional, and talented. Great job! Gilda was simply AWESOME. I will recommend her to anyone looking for an agent who is PROFESSIONAL, CONSIDERATE, CONSCIENTIOUS, AND VERY KNOWLEDGABLE. I wish we could CLONE her. Thank you for a very positive experience. Gilda went way beyond the expected to help us get our home. Gilda was an absolute necessity. She went above and beyond anything I could have hoped for. I will never buy or sell property without her. Thank You. I was very glad we were able to have a realtor like Gilda. She helped us understand everything going on and walked us through step by step. I really had the feeling that she was looking out for our best interest. Gilda is the only Realtor we have ever had, and she was very Great on everything with us. I would ask for her again anytime. She needs a managers recognition. Gilda did an amazing job at helping me find a house. She found so many homes that I loved it was hard to choose one. I would recommend her to anyone buying a house in Tulsa. Gilda's services were over and above what was expected. 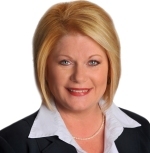 She is an extremely knowledgeable and experienced Realtor. ... "Gilda worked with us wonderfully!" I would hire Gilda again and refer her to my family and friends. There are no words to explain how much I enjoyed having Gilda. She is the BEST realtor you can find. It took us a while to find someone like her (we had 2 realtors before her). She is so professional in all she does. She helped us in every step of our selling process. From redecorating the house before showing to the last minute of our signing process. She kept us on the loop ALL the time. She gave us feedback within 24 hours after every showing. She gave exposure to our property like no one else. I am positive that we sold our place because we followed all her magnificent tips. She kept following up on all the closing process and because of her we closed on time. We are so happy after selling our place and moving to our new house. We have found our realtor for life! We relocated from another state . It was an unplanned and difficult move but Gilda made the process so easy. She not only showed us everything in our price range but she helped us to get familiar with the area. Gilda is by far the best realtor we have ever dealt with! Gilda has recently assisted us in the purchase of our new home. She is very detail oriented and has a strong level of commitment. Her work is accurate, complete and thorough. Her decisions are consistently sound, based on systematic analysis of information. She is very dependable, regardless of any circumstances that arise. We highly recommend Gilda for any reality needs. She will get the job done! Thank you Gilda! I stumbled upon Gilda's website on a Sunday Morning. I called her number to inquire on available homes and within an hour I received a call back. The next day Gilda emailed me an entire list of homes available in great detail. She helped me find a mortgage company and from there she handled just about everything. We found a house within a week and went to work getting the final loan approval. She was there to answer any questions I had. Not only did she help us find a great home, she assisted us with inspections, appraisals, etc. She was continuously monitoring the entire process to ensure everything was done in a timely and professional manner. I would highly recommend Gilda for anyone looking to buy or sell a home. She's more than just a realtor. She's a friend. Thanks Gilda!!! From beginning to end of house searching, excellent help on finding the right house to closing the house. Supplying the information on what to look on the house, mortgage company, insurance, negotiation the cost as well as suggestion on what to do excellent. When ever we needed help on anything you were always there for us no matter what time, we really appreciate your time. Thank you very much for the time and effort you have devoted to us and we will always contact you if we are looking to buy other house in future and referred to anybody who is looking for the house. Having come from a country where there's an inherent distrust and uncertainty about dealings in general, I must confess that not only has Gilda showed us how business is conducted here in the US, but has also recaptured my long lost faith in ever being treated as an individual and not simply another number. From the start, Gilda made us feel special and comfortable in working with a realtor. Her expertise and professionalism shone through from our first meeting to closing. Our respect and sense of confidence in her work grew stronger and stronger with each interaction. Gilda had a clear, laid-out game plan on how to accomplish the sale of our condo, which she followed through - explaining every step of the process, responding to any doubts we had, as well as translating all the lingo and jargon pertaining to the business into concise, every day English. From day one, she heavily advertised our unit, gave us the best advice on making it more marketable, and most importantly - was always in touch, communicating feedbacks, changes, reviewing strategies, setting realistic goals, keeping us motivated. Her experience with international markets and other ethnic groups is alone an asset to any company these days. When we embarked on the journey of selling our first home here, we were totally inexperienced and full of questions. Looking back now, there was only one answer - and I'm glad that was Gilda Krantz-Smith. Gilda was great to work with. She spent a couple of months working diligently to find us a house. She did not stop working for us until she had found us the perfect home. We will definitely recommend her services and come back to her when we are ready to sell. When I think of Gilda Krantz, the above words always come to mind. She was very professional in a way, that made my family and I feel that we were in good hands. Dependable in the way that no matter the time, she was always there to assist us. She is very experienced and knowledgeable in her field of work. She always made sure that we understood and was clear on all of the necessary facts needed.If she did not have the answer to a question, she would always obtain it. She went above and beyond to help in our search for the perfect home, and would not give up until we were satisfied. Unlike most realtors Gilda's dedication does not end after closing on your home. She still assists us with any arising issues we may have, and again makes sure that we are satisfied. We really enjoyed working with her. We can't tell you enough how pleased we were with the job you did selling our home. With Tim home only two days a week during the time it took to sell and close, your professional and caring manner really took the worry out of the process for me. It was obvious that you were doing everything possible to get us the exposure we needed and the house sold faster than we'd ever imagined - just two weeks! Gilda was a pleasure to work with. A true professional through and through. Her work on marketing and sales helped tremendously in getting our house to market and sold quickly. It was not the best of times for my mother and myself, having to sell her brothers home after he pasted away. In addition to living in New York was not an easy matter. However, Gilda made it painless. Having Gilda there to help us through this tough time was truly a blessing. We highly recommend Gilda Krantz and all her services. You really went over and beyond what I had expected. You really looked after my best interest in my real estate transaction. I thank you for everything. I could not have done it without your wonderful experience and professionalism. Gilda: Being 600 miles away you went beyond the call of duty both day and night. You brought the buyer and seller together when the going was tough. Although the sellers realtor was difficult at times you were the catalyst that completed this transaction. Outstanding service, look forward to letting others know how you took care of our real estate needs. We are so pleased with the professionalism and dedication that you put forth in selling our home. Being out-of-state sellers, we were most impressed by the constant communication with us, and we always felt confident that our home was being well looked after. Thank you for being such an outstanding marketing professional. We had the opportunity of using Gilda's expertise to find our home and we were most pleased with her professional and caring attitude...she found us a geat home. "Thank you for all your kind words and choosing me to represent you in selling or buying your home. I really appreciate you taking your time to comment on my services, this allows my future clients to know my style and how I treat all my clients." Contact Gilda, (918)808-0224 Let's talk!